daisy ridley fan is now online! Your new online source for the daisy ridley is online and looking for affiliates apply here and be sure to check out the gallery that is being updated! Lucifer Hungary has new look! Hi! After a long time, a new look on the only hungarian-language Lucifer fanpage has emerged. On my constantly updated page, you can find out all your info about your favorite series that will continue in the spring of 2019 with the 4th season at Netflix. Hello Everyone!! Emma Watson Portugal has a brand new gallery layout featuring Emma’s photoshoot for Vogue Australia Magazine. The gallery has over 110,000 photos from Emma’s appearances, movie projects, photoshoots, screencaptures and so much more. Make sure to check it out and let me know what you guys think. Feel free to visit it anytime you like. Hi! 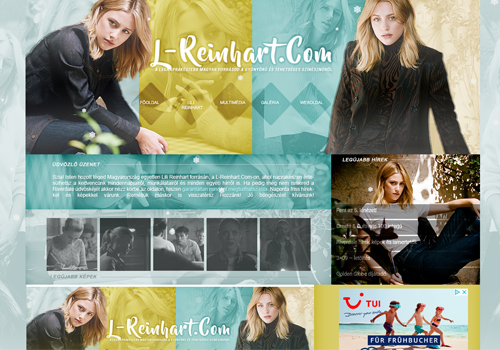 Flaunt has opened its first fansite for Amber Heard in Hungarian. With lots of fresh info, I look forward to visiting the site and gallery. Hey everyone! Your no1 source of the American band, Imagine Dragons is back! There’s a lot of content on the site and more than 10.000 photos in the gallery, make sure to check everything out, you won’t regret it. Looking for affiliates from all over the world! See ya on the website! Jessie J Brasil has a new layout! Jessie J Brasil, your leading fan site source about Jessie J has a brand new layout on the main site. You will find everything you need to know about the English singer and songwriter and much much more! Visit us now on JESSIEJ.COM.BR and let us know what you think.